It’s been a little while since my last post but fear not, it’s not because I’ve stopped testing out recipes. This recipe popped up on the back of a bag of dried pasta and looked so good I decided to try it out. Coles has actually impressed me with many of their recipes and after the success of this one I will be trying some more in the future. It seems that Coles does a good job of distributing recipes with easy, low-cost ingredients and simple instructions. 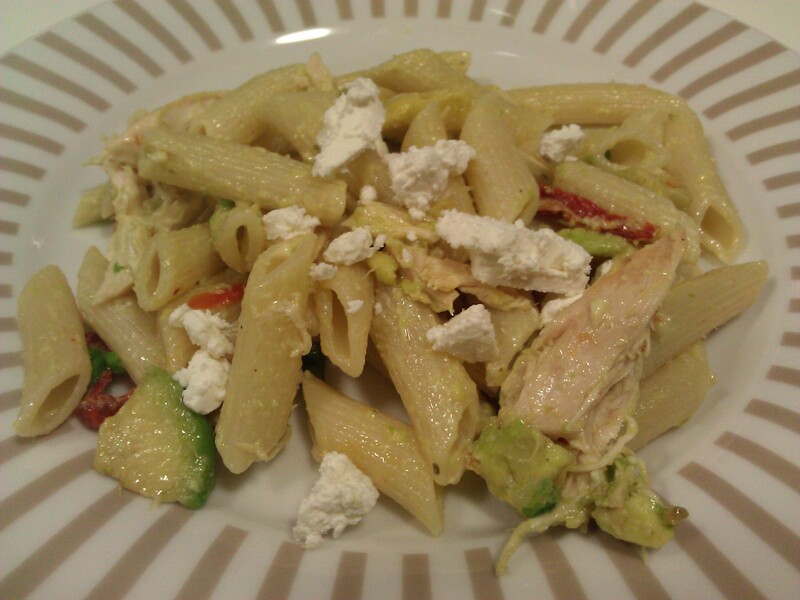 This one features chicken, avocado and sun-dried tomatoes and has some pretty easy ingredients for a student, I had basically everything on hand after my weekly trip to the supermarket and just put in substitutions for anything that was missing. The pasta is creamy and tangy and should be served right away so that it is still warm, it actually makes a great salad the next day as well when it has been in the fridge overnight. It only took about half an hour to make and is a great meal for a group dinner since there are a few different steps and ingredients to chop when you’re all in the kitchen. For my Italian roommates it was one of the first times I was able to serve both meat and pasta together and I didn’t get a single complaint, I’ll take that as one step in the right direction. Cook and shred (or just shred) chicken into pieces and chop tomatoes, spring onions and avocado. 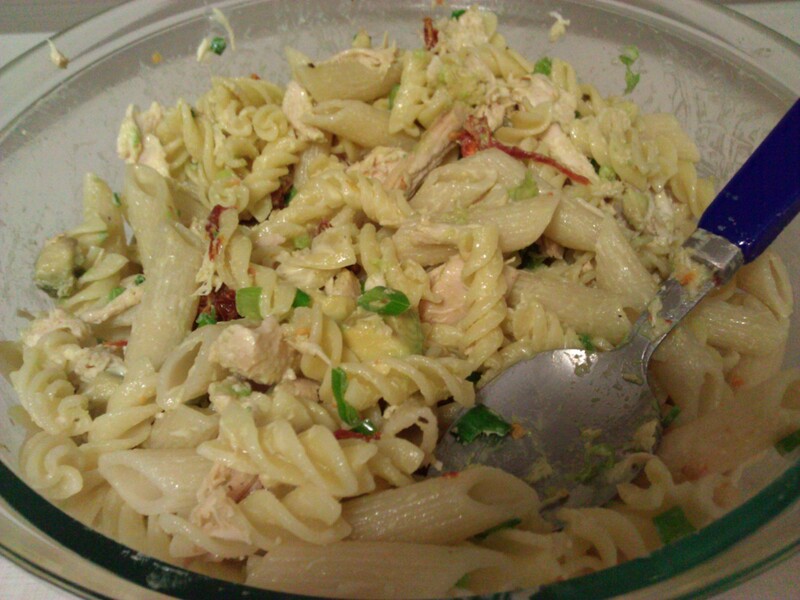 Toss pasta with chicken, rocket, sun-dried tomato strips, spring onion and avocado in a large bowl. Mix dressing ingredients together, season with salt and pepper and toss through salad. Best served immediately. We also sprinkled some crumbled feta on top which was delicious. Allie – i love your blog!